A great accessory bag for traveling with cosmetics, toiletries, or a bag for tweens or little ones ! Two finishes for either a drawstring or an overlap flap. Perfect for Charm Packs and 2.5" strips and squares! METHOD: "Fuse, Fold, & Sew". Perfectly-matched seams & easy construction. Bag bottom is about 5.5" square x 9" high. FIRST TIME USERS - Purchase this "Pack" first which includes instructions and interfacing! Additional panels are available separately for more bags. 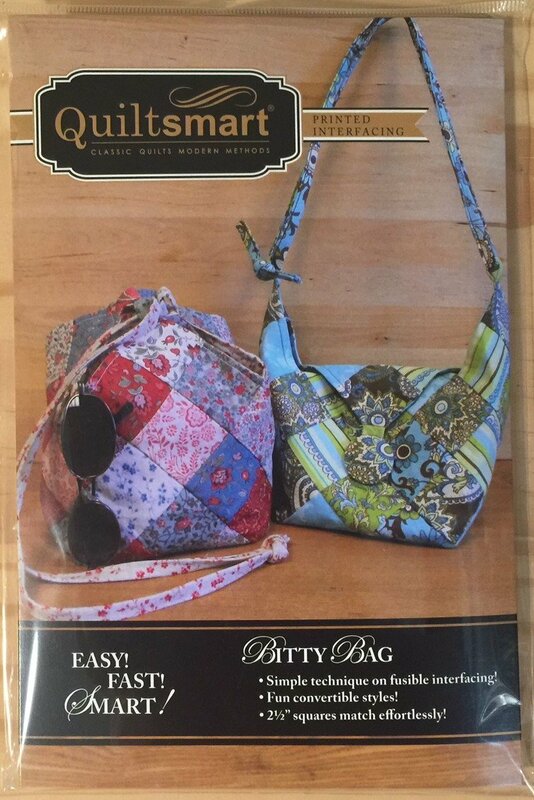 Comes in a 6" x 9" pack with interfacing & instructions to make 2 bags.